How dating apps like Tinder have changed the way we network. The words "swiping right" can conjure two sorts of images, depending on your own experience, or whether you're a glass half-full or half-empty kind of person: absolute disaster or modern-day fairy tale. But that's all in the dating world. What if we could use dating app's algorithm to further our careers and network? This is the bet that Bumble Bizz has made. Looking for business contacts isn't the same as looking for a date (and we are really trying to make those different intentions clear on our platform), but the endless opportunities and discoveries of new connections are beneficial for both. What makes dating apps so successful is their ability to create access to people you maybe wouldn’t meet otherwise. We think this access shouldn’t be limited specifically to dating, because all of the relationships in your life matter. On Bumble Bizz, when two users are mutually interested in networking, one has to make the first move, and the other has to reply or the connection expires. If a woman and a man connect, the woman has to make the first move – we’re trying to eliminate the uncomfortable grey area that often times exists in business networking. There's an underlying notion in our society that men are better equipped to handle business, which lends itself to dismissive comments and behavior towards equally or often more qualified women. It’s often harder for women to get a seat at the table, and we are actively trying to change that. Years of societal conditioning encourages women to be submissive and to wait for men to make the first move. Years of being dismissed for being women in business; years and years of being encouraged to be chased instead of to take initiative in dating. We have to really look at the dynamics of relationships, both romantic and professional, and be brave enough to question them and to flip the dynamics on their head. Everyone (not just women) needs to network for business. Women are so supportive of each other and wonderful at creating communities and spaces to build one another up, so we love that our platform gives them access to connect with each other and help each other succeed. Related read: This is the One Trait Successful Women Share. Society used to give me my life goals. I felt like I had to have my life sorted by a certain age or I was failing as a woman. Then my world changed with two life events: 1. My mom was diagnosed with Triple Negative Breast Cancer and 2. I got divorced. I came to understand that life is not what you’ve planned it to be. Societal pressures can lead you into a life not meant for you. We all try to shard to be what we think others want us to be and it's exhausting. It leads to so much second guessing. Be who you are, and you never have to worry about keeping up appearances. And remember, as agonizing and awkward as work networking can be, you are enough and you deserve to be in the room. Related read: Norah Casey on How Failure Helped Her Love Herself. I overcome anxiety and work pressure by leaning on the team who have built this company with me. I feel so lucky to get to work with the most brilliant, compassionate, kind people. Every day presents its own joys and challenges. The idea of leaving the world better than we found it, and creating a kinder, happier society inspires me. I also love that we get to wake up every day and work on a product that is changing people’s lives by connecting them to the most treasured relationships in their lives (in business, friendship, and love). 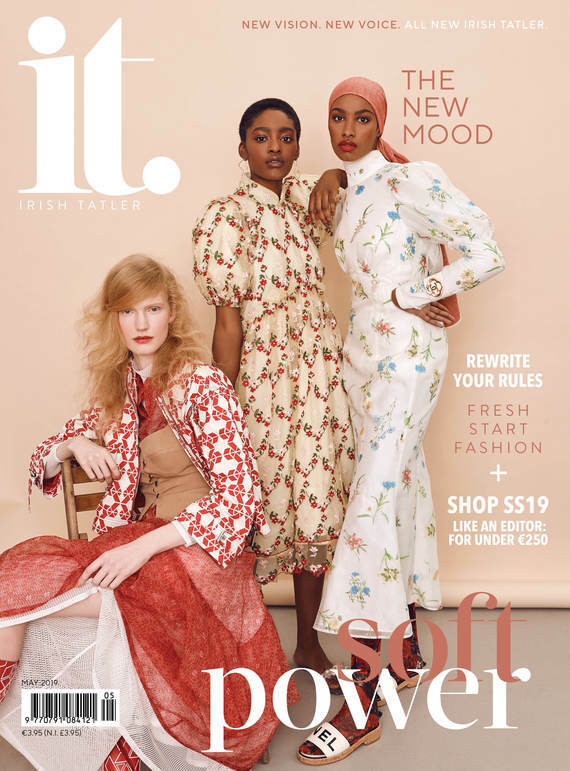 Read the whole interview in Irish Tatler's November issue, now out in newsagents and supermarkets.